sometimes all you need is a weekend to fall in love, and that's all it took for me to fall in love with scotland. on our way to dublin, i scheduled a quick two night stop in edinburgh and our first ever visit to scotland. here are my type a tips to planning a perfect introduction to this majestic country. 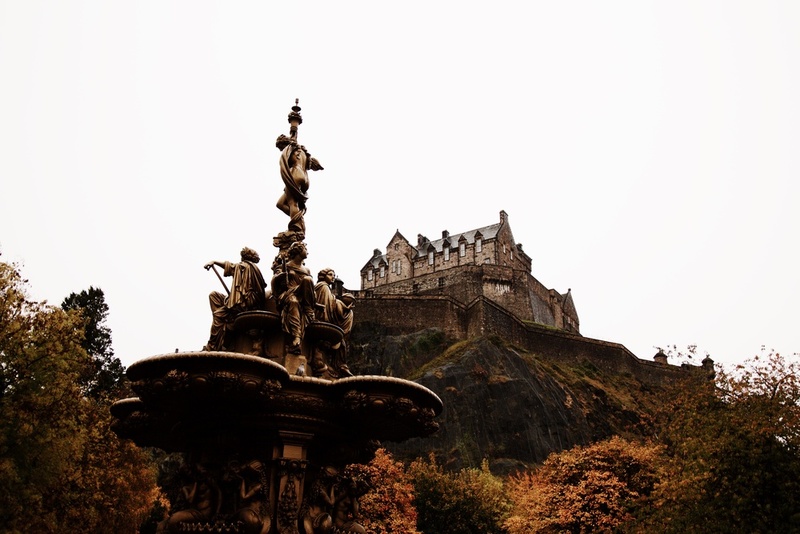 One thing you're bound to find as you begin to research Edinburgh is that it is a touristy city with plenty of chain hotels, silly attractions and mediocre restaurants in the city center. This information nearly made me run the other way and change our trip completely, but I'm so glad that I wasn't scared off so easily. With a little insight that goes beyond the obvious offerings of a major city, Edinburgh actually feels more like a quaint, medieval town with all the makings of old world charm (personally, I like to think of it as a smaller, cleaner, friendlier, more enchanting Dublin... no offense). 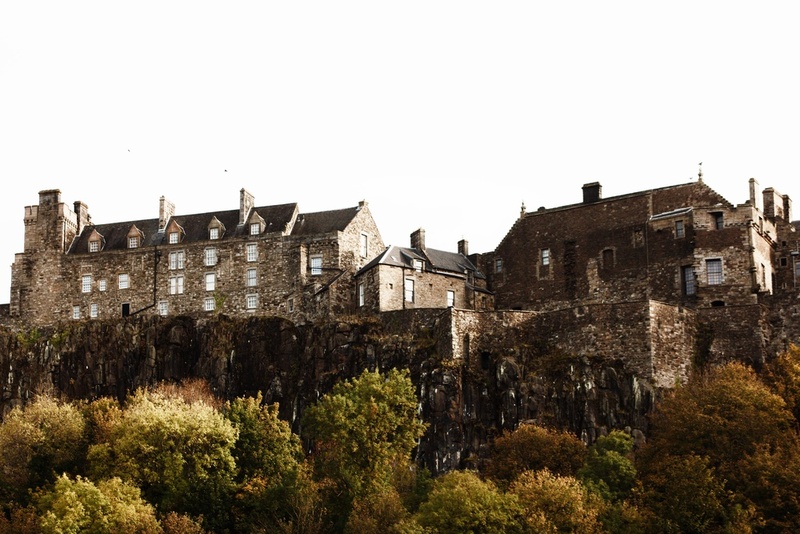 In addition, because it has a major airport, Edinburgh is the perfect starting off point for a tour of Europe and the availability of tours in the area make it an ideal location for taking a day trip to the Scottish Highlands - something you won't want to miss. This guide is more of a backdoor view of the city based on extensive pre-trip research to find hidden gems and recommendations from locals upon arrival, highlighting my favorite points of the visit. Scotland is very high on my list for a longer, more in depth revisit in the near future - I hope you enjoy it as much as I did! 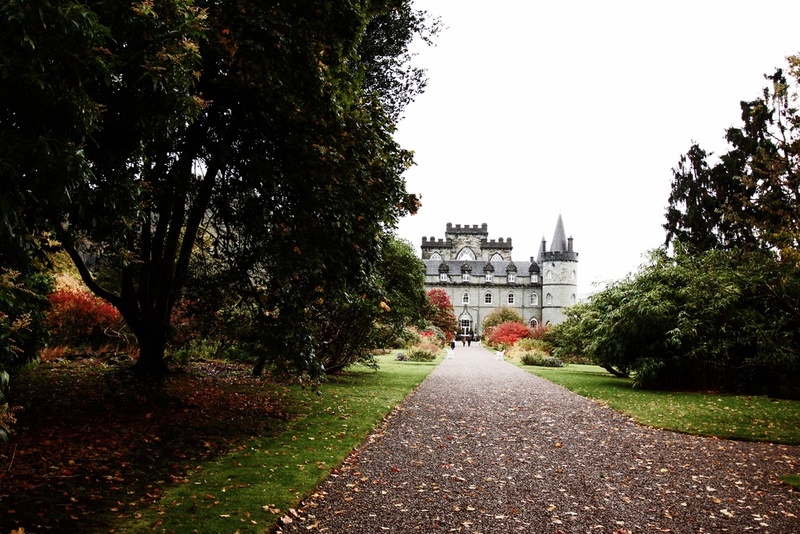 While any time of year is gorgeous in Scotland, I'm partial to the fall when temperatures are cooler, leaves are turning and the grey skies add to the medieval splendor. It's also a quieter time in the city with the exception of Scottish travelers visiting for holiday shopping. I'm always on the lookout for unique hotels that compliment its surroundings, making you feel more like a local being welcomed home, and that's exactly what I found in Nira Caledonia. 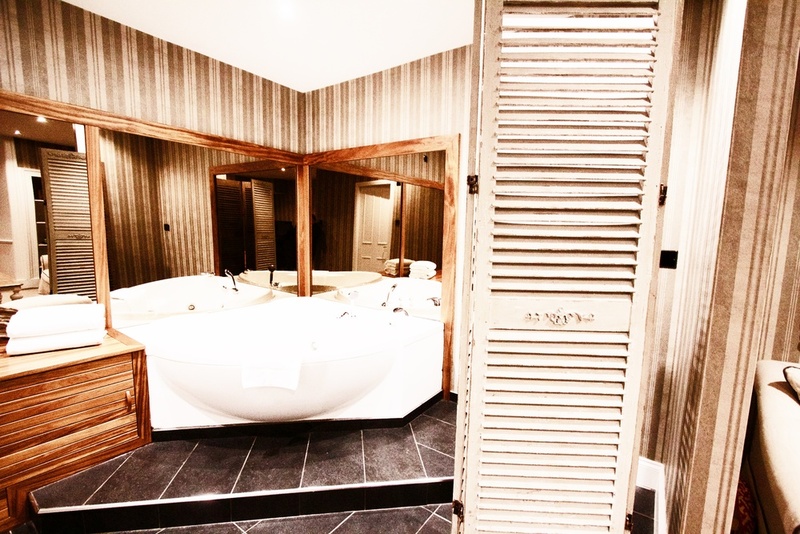 Just a 10 minute stroll north of the hustle and bustle of famous Princes Street, you'll find this boutique, luxury hotel nestled quietly in a high-class, historic neighborhood - so tastefully camouflaged, you think you're walking up to someone's private residence. What used to be the grand home of a famous 19th century writer is now a 28 room, cozy but classy Georgian hotel with all of the comforts and luxuries of the 21st century. Rooms are all tastefully and uniquely decorated, ranging from petite doubles to spacious suites with private garden access and in-room jacuzzis. I personally preferred the views facing the back of the hotel from the second or third story balconies, but you can't go wrong on either side. Welcome glass of champagne delivered to the room. Friendly and hospitable staff, without being stuffy. The quiet walk through cobblestone neighborhoods from the city center; it was so peaceful, picture perfect and safe. Proximity to Stockbridge, my favorite area of the city. Quaint, authentic and truly local. I loved that we could easily go into the busy parts of the city when we wanted to, but were able to spend our evenings on this side of the city. More details below. Breakfast offers a wide variety of both hot and cold options, a perfect way to start the morning. The rooms span across two side by side buildings - think of it like neighboring townhouses. One building houses the front desk and restaurant and the other only rooms. There are no lifts/elevators, only stairs and the walk to the third floor can be tiresome. Be sure to request a room on a lower floor if this is a concern. While this is a luxury travel blog, it's also a practical one. Taxi's from the airport into the city center are expensive - roughly 40 pounds one way ($60+ US), but it only takes about 20 minutes. If you're looking for a fast and inexpensive way to get to and from the airport, consider taking the express Airlink 100 Bus/Stop D - you pick it up right outside the airport terminal doors, it runs every 10 minutes and in 30 minutes or less it takes you right into town at several convenient stops in town for under 5 pounds per person. From there, you can easily walk to your final destination or take a cheap taxi from there. The bus runs early in the morning to late at night so if you've got a flight out first thing in the morning (like we did), you shouldn't have a problem, just double check times online to be sure. Edinburgh isn't all that big and is best seen on foot. Most major attractions are within blocks of each other or within a mile at most. You definitely don't need to rent a car unless you have other business that requires you to - there are lots of one way streets and parking is scarce so avoid it if you can. Otherwise there is a newly built convenient Tramway system in the center of town that can take you to and from major stops relatively quickly. This is very unlike me, but in the case of Edinburgh I'm not going to provide you with many specifics. To be honest, it's a gorgeous city full of character and history that you simply need to get lost in to truly appreciate. Grab a map, ask your concierge to circle areas around town and simply start walking. Go inside churches, wander between cobblestone streets, meander through markets, spend an afternoon in the free National Museum of Scotland, drop in on a few graveyards, weave in and out of artisan cheese shops and the oh-so-classic kilt stores and be sure to look up to see what might be hiding on top of the hills. You can cover most of the city center in just one day, but two days is ideal so you're not in a rush. Stockbridge, an eclectic local neighborhood just north of the city center, is my favorite part of Edinburgh. It's where real people live and eat and shop, people who actually live in Scotland. Here, you'll find authentic, quality shops and eateries that represent the life and culture of Scotland - a vast difference from the many mediocre tourist traps you find around Princes Street. There was one restaurant that we loved so much, we went both nights in the city - Scran and Scallie Public House. It's a cozy, incredibly delicious local eatery that serves sophisticated twists on traditional Scottish food. Everything we ordered was mouthwatering, especially the warm sticky toffee pudding with creamy vanilla ice cream... ok, now I'm seriously hungry. On Sunday night, we sat in the more casual bar side, sipping Thistly Cross Strawberry Cider and listening to a couple play the violin and guitar while singing everything from current favorites to Scottish folk songs - a memory I'll never forget. 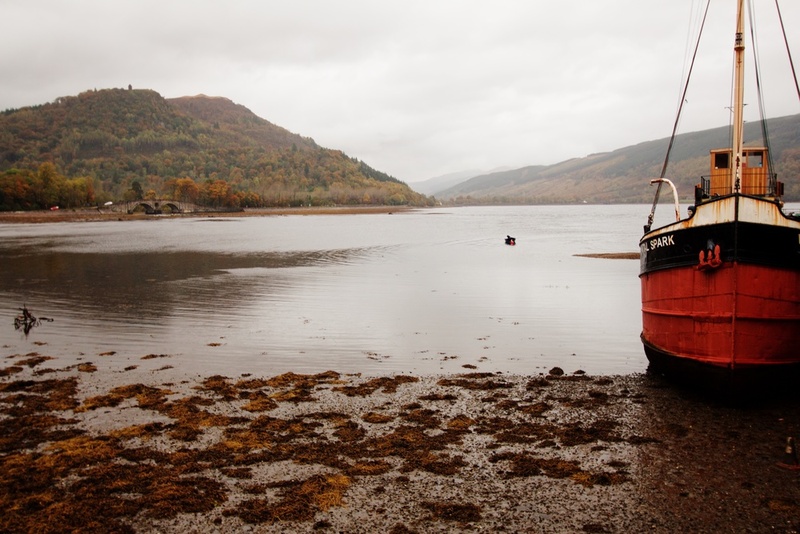 A trip to Scotland wouldn't be complete without visiting the stunning countryside, eerie lochs (aka lakes) and medieval castles of the Scottish Highlands. Of course, if you have a car and can navigate a trip on your own time, that's the best way to do it; however, if you only have a few days in town like we did, you'll want to book a day tour. 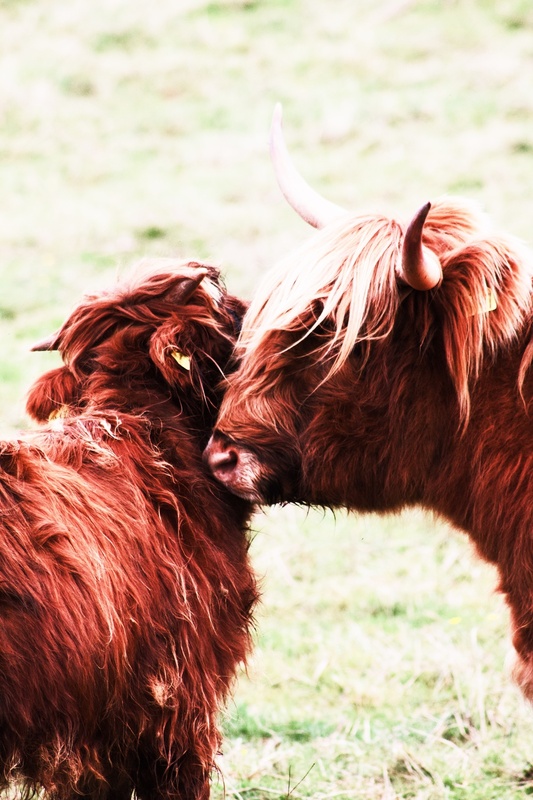 After a significant amount of research, I decided to book a one day tour with the well known and highly rated small group tour company, Rabbies. 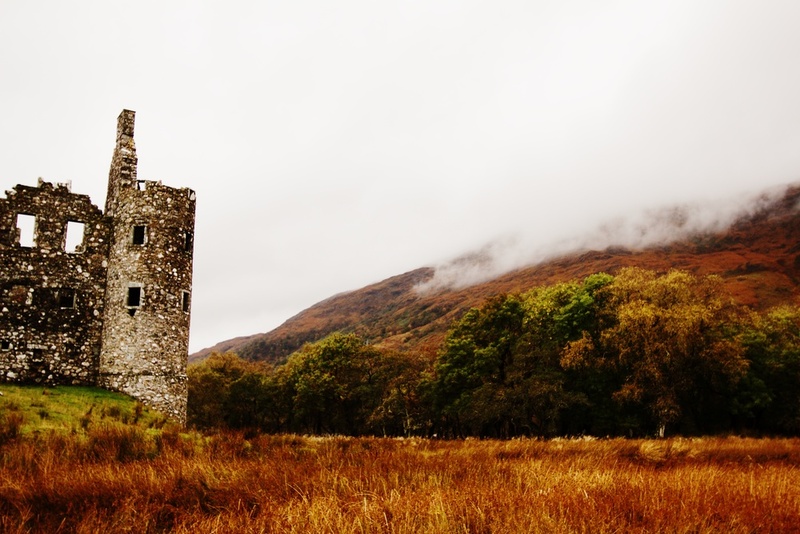 I wanted a glimpse of what life outside the city was all about - and of course see some castles - so we booked a full day (roughly 9 hours) on the West Highland Lochs and Castles Day Tour. The tour meets at the Rabbies office right in the city center where you'll board a clean, comfortable and air conditioned Mercedes 16 person passenger van. From there, you are whisked away to areas most people only ever see in the movies on a magnificent, informative journey exploring this mystical land. We absolutely loved it because of the perfect amount of intimacy in the group size, the quality of the guide and the uniqueness of the itinerary. There is no way we could have done so much on our own, mainly because the drive would have been exhausting, but luckily we had the freedom to snooze in the back during the ride home. We've been on our fair share of group tours, but this was by far one of the best we've gone on and is definitely a five star experience. That wraps up my weekend review of Scotland. 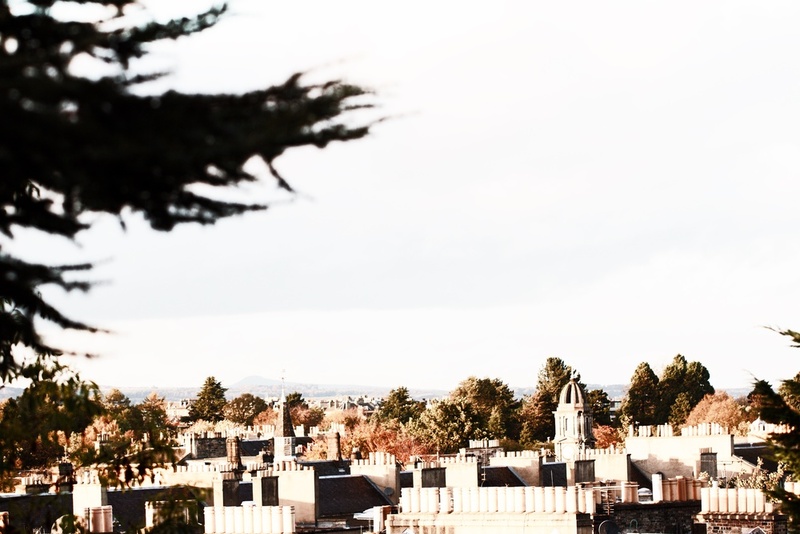 Overall, Edinburgh is a European destination that should be on your vacation list. With so much to do and such gorgeous scenery, there are few better luxury locations out there. So be sure to take my Type A tips and get traveling!